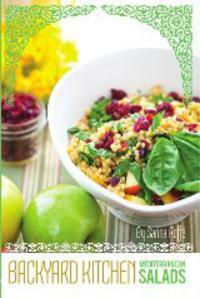 Sarina's Sephardic Cuisine - Kosher Family Recipes - Post Yom Kippur Fast Eats! Post Yom Kippur Fast Eats! This blog is just meant as a way of suggesting what you can do to minimize stress when having to serve hungry people while you are hungry yourself. The prep for the post fast menu actually comes before the fast, since you can’t do shopping and cooking on the fast day, especially on Shabbat. Faced with a crowd of hungry tired adults, nevertheless, the after fast meal must be light fare as the stomach simply cannot handle a heavy meal after the fast. We prepare very few hot foods for this meal. Largely, because there isn’t time to cook them and a fasting cook is not going to be in the mood for fancy foods. So preparation is the key to keeping your sanity and feeding people in a short space of time. The day before the fast, I prepare tuna salad and egg salad. I stock up on eggs, OJ, olives, butter, cream cheese, pita bread, crackers, bagels, lox, smoked whitefish, egg noodles, a variety of cheeses, and fruit, preferably melons. The table is set so each person had a mug for tea and a glass for their OJ. This is not a fancy meal, where we wait for everyone to be seated before eating. This is serious business, breaking our fast. So as soon as someone sits down, they begin to eat. Not to be rude, but hunger is driving them to the food. The first thing we drink is Orange Juice and they drink a lot before sitting down to the meal. If you have the items in the fridge and cupboard, then it shouldn’t take more than 30 minutes to put everything on the table. This can be done before you go back to synagogue at the end of the day. Set the table and then put the tuna and egg salad on the table, along with a plate of sliced cucumbers and tomatoes, a bowl of breads and crackers (bagels, pita, crackers), chesses, melon, smoked fish (lox, whitefish, etc), plates of olives, cream cheese (butter and jam too!). This seems like a good bit of food but after the initial break fast and eating, I find folks digest and are ready for a second round. So while they are digging into the bread and light fare, a pot of water is boiling egg noodles, which will be swirled with butter and served hot. Scrambled eggs or a potato frittata are nice fare to compliment this break fast meal. I serve these midway through the meal, putting them on the table as they come out of the oven. For dessert, something sweet is usually served like sticky buns or a coffee cake. Remember that you want light fare that is easy to prepare, foods that are simple and easy to serve, and fill the emptiness of your stomach. And remember, the light at the end of the tunnel is that special cup of coffee in the morning!